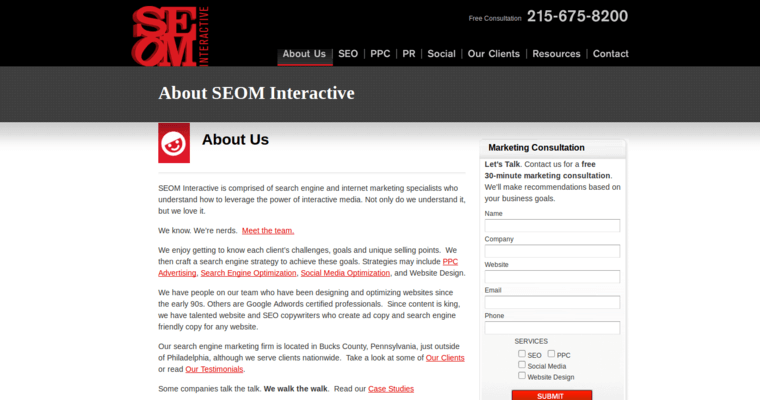 If you're ready to get in front of your audience when they're searching for you, choose SEOM Interactive. The firm has turned heads in the online marketing industry and is now being awarded for their excellent work in the field of search engine optimization. 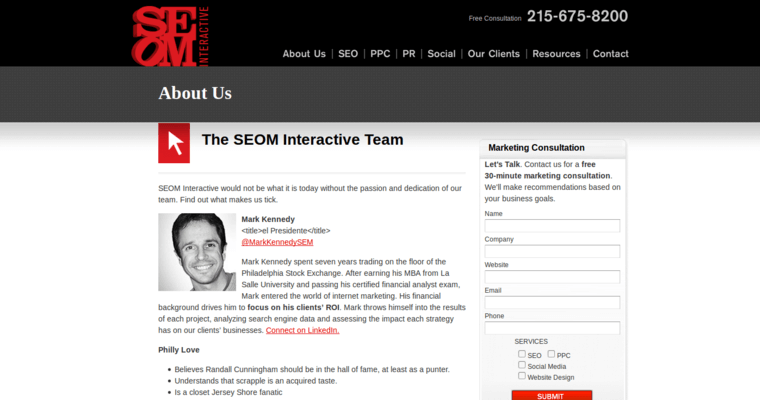 Unlike ordinary SEO firms that talk big, SEOM Interactive delivers. In other words, they practice what they preach. 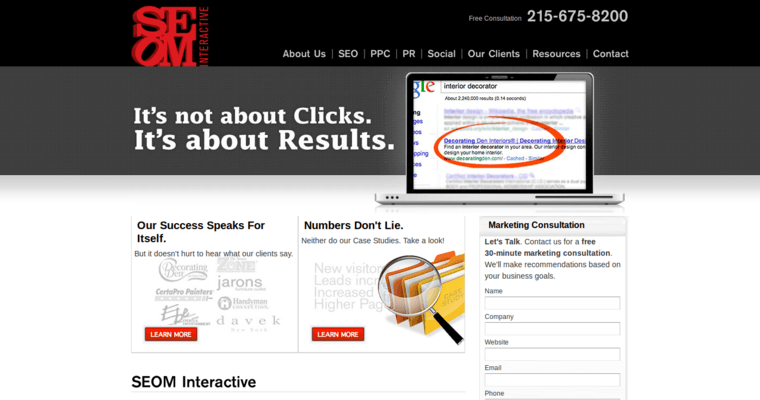 Instead of trying to sell you a certain amount of clicks, SEOM Interactive sells you high-quality results. The firm sits down with you to learn about your business. Then they design a custom strategy that will achieve your desired results. Such attention to detail increases your anticipated ROI with every click rather than simply incrementing a statistic. Although you may think this emphasis is counterintuitive, think again. SEOM Interactive's services often pay for themselves, giving you a good reason to stay with them for the long run.